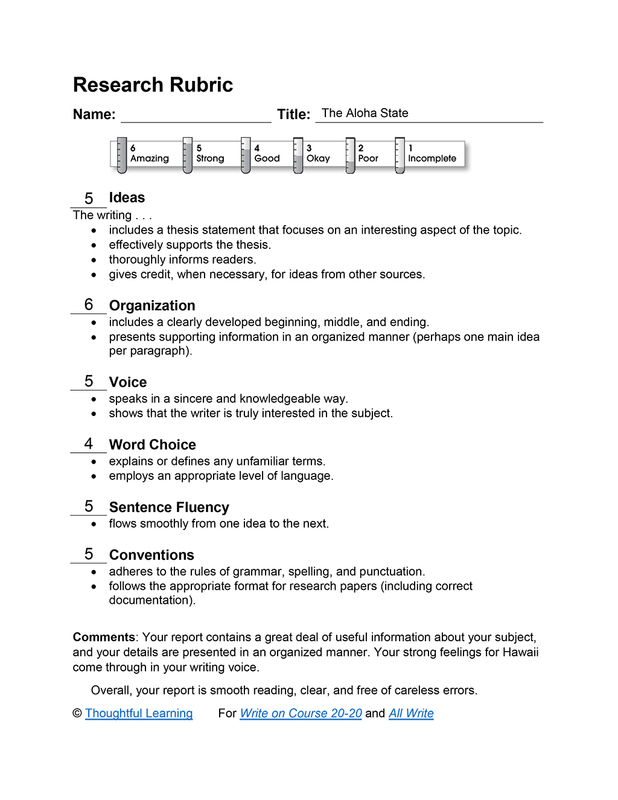 In this middle school research report, the writer provides information about Hawaii. More than any other state, Hawaii is world famous for its beauty and pleasant climate. This is probably why Hawaii, the “Aloha State,” is one of the most popular tourist attractions in the world, and why I would love to visit this state someday. Besides being a great place for tourists, though, Hawaii is also a great place to live and has over one million residents. Hawaii is made up entirely of islands and is located in the mid-Pacific Ocean. The closest of its islands to the U.S. mainland is about 2,091 miles southwest of San Francisco. Hawaii is the youngest of the 50 states; it joined the union in 1959. The state of Hawaii has a mixed population of Japanese, Filipino, Polynesian, and Chinese. The people are proud that their state is a community with many different backgrounds. Many people are mixtures of several nationalities and races. More than four-fifths of its people live in urban areas, mostly in Honolulu on the island of Oahu. The climate in Hawaii is mild throughout the year with little difference between the hottest and coldest month. Honolulu, for example, has a normal daily temperature of 72 degrees in January and 80 degrees in July. Precipitation is uneven throughout the year because of the surrounding water. Usual precipitation for the year is about 480 inches of rainfall. However, Honolulu receives only 23 inches annually, most of it falling between November and March. Tourism is the leading money maker in this beautiful state, with service industries accounting for 87 percent of Hawaii’s gross state product (the total value of goods and services produced in a state in a year). Each year, the islands attract over three million visitors. Oahu is the leading destination for most tourists. The state’s warm climate and its fine sand beaches are the leading attractions, as are the many top golf courses. There are also other attractions to visit in Hawaii, like Haleakala National Park on Maui and Hawaii Volcanoes National Park on the island of Hawaii. Hawaii Volcanoes National Park contains two active volcanoes at the present time. In this park is Mauna Loa, the world’s largest volcano. This park is about 229,000 acres in area. It was created in 1961 and extends eastward from the summit of Mauna Loa to the Pacific Ocean, passing a 30-mile section of the coast. Mauna Loa is 13,677 feet above sea level. Its submerged portion rises 20,000 feet above the seafloor. Kilauea, the park’s other active volcano, rises from the eastern flank of Mauna Loa to an elevation of just over 4,000 feet. Haleakala National Park boasts Haleakala Crater, the world’s largest inactive volcanic crater. It measures about 20 miles around and is about 3,000 feet deep. Another great thing to do in Hawaii besides sightseeing would be fishing. The fishing industry is very small in the state, although it is expanding. Some major types of fish caught there are yellowfin and skipjack tuna. One of Hawaii’s only problems is transportation. Most goods have to be shipped by air or sea, so things are very expensive. Airlines are the quickest and easiest way to travel in Hawaii. But travel within the state is expensive because the islands are widely separated. The biggest airport is the Honolulu International. Another problem is keeping the islands beautiful with all of the increased tourist business. Tourists spend over $4 billion in Hawaii each year, but the people who live there don’t want all of these people destroying the natural beauty of their homeland. Despite the problems of transportation and increased tourism, Hawaii is still a great place to visit or live because of the warm climate and the beauty of the islands. There are also many amazing things to do and see on this group of islands. Every American should visit Hawaii at least once in his or her life. “Hawaii.” The World Book Encyclopedia. 1990. Print. Armstrong, R. W. Atlas of Hawaii. Honolulu: University Press of Hawaii, 1973. Print. Bates, John F., Jr. People and Cultures of Hawaii. Salt Lake City: Holt, 1973. Print. The Aloha State by Thoughtful Learning is licensed under a Creative Commons Attribution-NonCommercial-ShareAlike 4.0 International License. Based on a work at k12.thoughtfullearning.com/assessmentmodels/aloha-state.